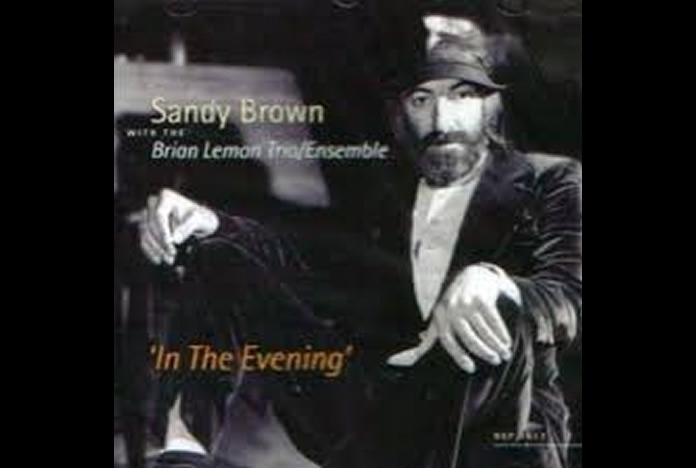 This album was recorded in 1970-71 and portrays Sandy Brown in his prime, with the trad format long discarded but still retaining the fiery passion and originality of his early days. 1-11: Sandy Brown (clt and voc), Brian Lemon (piano), Tony Archer (bs), Bobby Orr (drs). 12-15. misc: Ray Crane (tpt), John Picard (tmb), Bruce Turner (alt sax), Tony Coe (ten sax), Dave Green (bs). The UK jazz world was devastated at the news of Sandy Brown’s death at the early age of 46 in March 1975. Sandy was one of only a handful of home-grown musicians who were truly original and could stand comparison with the best that the USA or the rest of Europe could offer. He was self-taught and had heard few other clarinettists in his early years. By the time he realised what he was doing wrong, it was a little late to do much about it - to our great good fortune, I must add. London in the ‘60s and ‘70s was a great time for jazz and London was blessed with scores of pubs and clubs where you could hear pretty high class music. By the time I heard Sandy live he was well past the traditional stage that many musicians of his generation started with although even when listening to his early work, the power and imagination of his playing and composing shines through. “African Queen” and “Go Ghana” are excellent examples of traditional style formats but with very special elements. In those days I was doing many gigs around the capital myself but whenever I knew Sandy was appearing at venues like the “Six Bells” and the “Kensington” I would be there if possible. In many of his pub gigs, he often played solo and fronted a piano, bass and drums, as can be heard on most of this album. 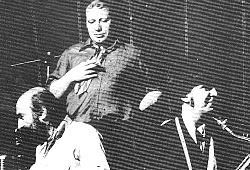 To my great regret I never had the privilege of playing with Sandy but was a regular piano player with Al Fairweather’s quartet in the early ‘70s and one of my first jobs ever was in a band led by Mo Umansky who played banjo and recorded with Sandy in the ‘50s. Mercifully he had graduated to bass by the time I knew him! Yes folks, after that little nostalgia trip I have finally got round to looking at the CD itself. The first 11 tracks were recorded in 1971 and are a feast of superb clarinet in front of a rhythm unit as good as you can get. Sandy is on top form throughout and his customary intriguing and unmistakeable clarinet is embellished on some tracks with throaty vocals from the maestro. The final four tracks include Sandy in what is basically a version of Bruce Turner’s Jump band but led by Brian Lemon. “Strike up the Band” includes Bruce playing soprano sax which I don’t recall ever hearing before. Another old bandmate of mine Ray Crane contributes his elegant lines to the proceedings while Tony Coe’s tenor sax slides and slithers over the changes. always reminding one of the most criminally overlooked Paul Gonsalves. The sound quality is excellent and reminded one of those far-off days in the ‘60s and ‘70s in any London hostelry featuring Sandy as mentioned above. You can never beat live music but at least on this album we are spared the crash of glasses on tables and the mutterings of the audience. Coda: Jazz writer Alun Morgan was with Sandy at a concert where a highly respected “free” improviser kicked off the evening with an unaccompanied soprano sax rendition. Well put, Sandy, and I couldn’t agree more. *All jazz lovers and musicians owe a large debt of gratitude to Alastair Robertson founder of Hep Records who has kept the flag flying for all of us over many decades.